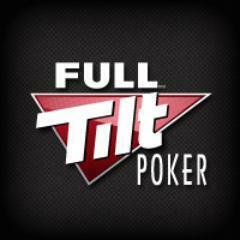 When you play at Full Tilt Poker this month, you have the chance to challenge Tom Dwan, the poker phenomenon known as durrr online. If you can overcome the odds and clear 3 preliminary challenges, you win the opportunity to go against Dwan in 4 simultaneous heads-up Sit & Gos for as much as $1.5 million in cash! You will compete in Challenge 1 at the cash game tables. Both No Limit Holdem and Pot Limit Omaha are fair game, and the durrr Leaderboards will track how well you do. There are three Leaderboards (Low, Medium, and High stakes), and a selection of players from each will continue on to Challenge 2. Your ranking (and whether or not you move on) depends on the number of “Leaderboard chips” earned at ring game tables. To earn Leaderboard chips, you must play a Rush Poker table or two regular tables at the same time, and then you have to win pots after the flop. There is no cap on the number of hands that you can see, but your Leaderboard chips are determined in groups of 500 hands. You’ll rank highest on the durrr Leaderboard by earning more chips in a given 500 hand sample than anyone else. You also receive extra Full Tilt Points for participating in Challenge 1. If you can post a Leaderboard score of at least 500 chips, you get additional points for all the hands in your 500 sample. The higher you play, the more bonus points you’ll receive. Challenge 2 tests your tournament skills in a series of freerolls. You will play 3 of them at the same time, and you must win one of them to continue on to the third challenge. This tournament has money added by Full Tilt, so there is money on the line as well! The size of the prize pool depends on whether you are playing the Low, Medium, or High freerolls. In the “Challenge durrr” promotion, you use cash game skills in Challenge 1 and Challenge 2 consists of tournaments. Challenge 3 features the Matrix. With the Matrix, you play 4 Sit & Gos with the same players all at the same time. For Challenge 3, you will be competing with the 8 others that made it past Challenge 2. If your Matrix score is higher than the other 8 players, you will move on to the final challenge. You earn Matrix points for outlasting opponents and for knocking opponents out. Challenge 3 carries a $25k prize pool; place in the top 3 of one of the Sit & Gos or receive a high Matrix score to win some cash. If you can survive the Matrix challenge and come out on top, you will receive the chance to play either Texas Holdem or Omaha for up to $1.5 million in prize money. On March 27th this person will compete in four simultaneous heads-up Sit & Gos with Tom Dwan. If the challenger can win one of four matches against durrr, he will receive $10k. If the matches are split 2-2, the challenger receives $25k. Three victories means $100k in prize money. If the impossible happens and durrr somehow loses all four of the Sit & Gos, the prize is capped at an amazing $1.5 million! Does it seem impossible to get through all the challenges for the chance to compete with one of the best players in the world? If you are a poker veteran, you will know that anything can happen. Someone has to win, so why not you?